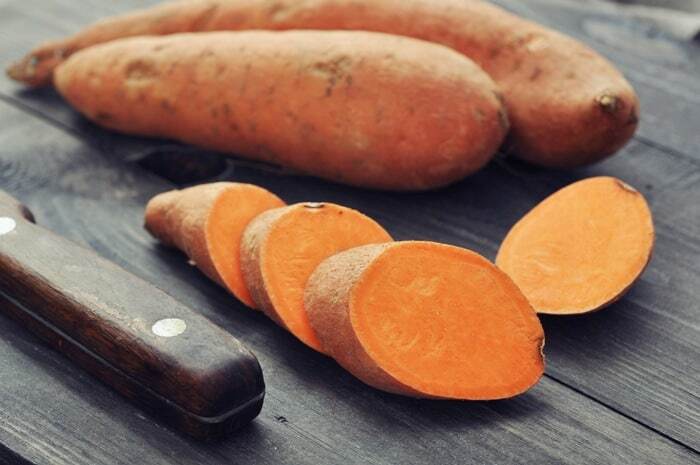 Sweet potatoes are quite a nice and healthy food that can satisfy your urge for something sweet and savory while not having a ton of carbs or fats. They are incredibly versatile, and you can make a lot of different dishes from them. They can be used as a component of the main dish, for a salad or a side dish and can easily fill the role of a dessert or an appetizer. What’s not to love about them? Well, one problem is that they can’t be easily found at all times of the year. You might find yourself wanting a sweet potato pie but not being able to get the needed ingredients at your local grocery store or, worse yet, finding them but at an exorbitant price. In that case, buying them while they are easily available and cheap, during the fall, and then making your little stockpile in the freezer is probably the best choice. However, freezing something as delicate as sweet potatoes properly is tricky, and you might just ruin them if you’re not careful. 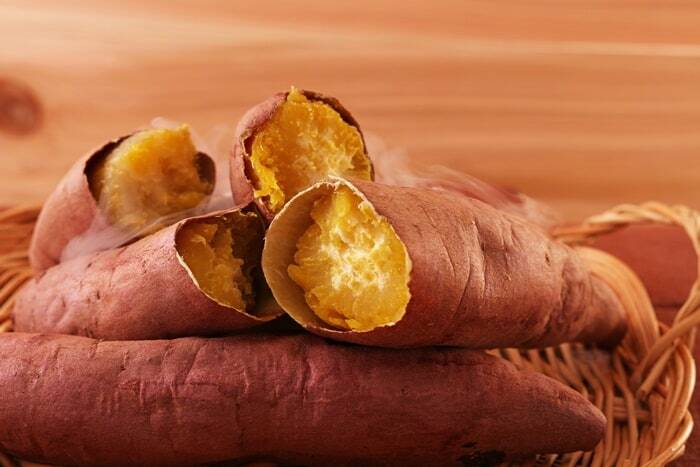 To that end, we made this article to inform you about sweet potatoes and the best ways to freeze them and keep them ready for cooking at any time. 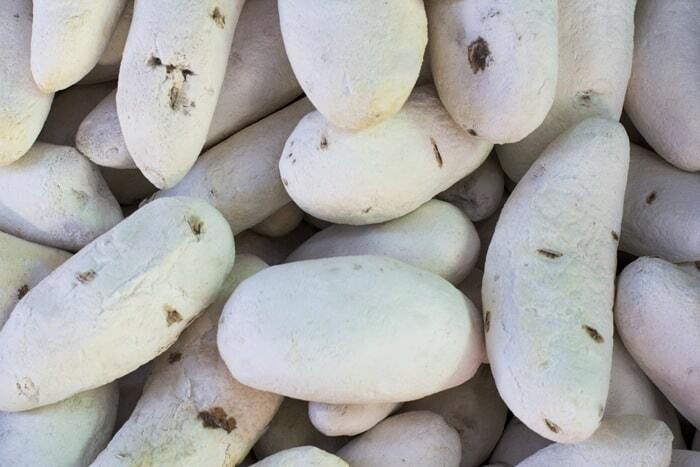 Sweet potatoes are a distant cousin of the regular potato, and they can be found almost anywhere in the world. They can have a variety of different skin and flesh colors, from white to yellow, orange, red and even purple, but the most common variant has orange flesh and brownish skin. These sweet potatoes are commonly called “yams,” though they aren’t true yams and you shouldn’t confuse them with such. 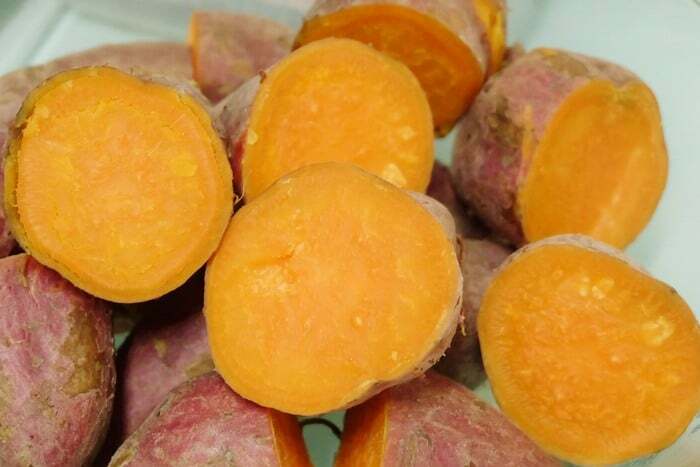 All types of sweet potatoes are quite healthy for you and a good alternative to other types of potatoes. Despite having more of a prominent sweet taste, they are in fact less carb-heavy than regular potatoes – who could have guessed, eh? They also contain a ton of great vitamins, like vitamin A, vitamin C, and vitamin E and are rich in fiber. Overall, they’re just a good time. They are also quite a versatile cooking ingredient and can be used for a wide variety of dishes, and you won’t ever struggle with finding a way to use them. 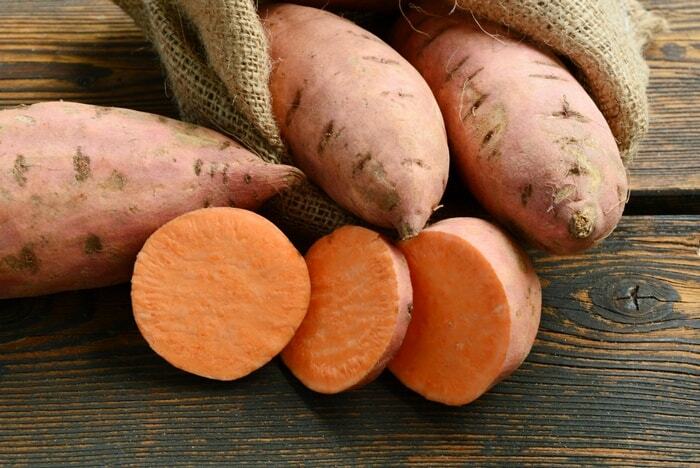 Baking, roasting, cooking, mashing and more – you can do so much with sweet potatoes that it’s incredible. Can You Freeze Sweet Potatoes After Baking Or Roasting? The short answer to this often-asked question is – yes, you can. The long answer requires a bit more extra steps to the entire process. You see, it might be even better to freeze sweet potatoes after baking, cooking or roasting them since they will probably lose less texture and taste in the process. However, freezing them like that is a bit riskier and requires more care. If you’re freezing them right after baking them, you need to wait until they cool enough so you can pick them up with your bare hands without burning yourself. Don’t try to cool them off more quickly that might just ruin them, let them cool off naturally. If they’re not freshly baked, then you should put them in the fridge to cool off a bit before freezing them. Then you need to put them in plastic wrap and put them in a freezer bag. In case of mashed potatoes, you need to scoop them into a freezer bag before squeezing out all the extra air. In all cases, it is important that no part of the potatoes is exposed to air or they might go bad before you unfreeze them. We have reviewed many different ways of freezing sweet potatoes, both from professionals and from amateurs who do it on a regular basis. We picked out three of the most effective ways we found and here they are. 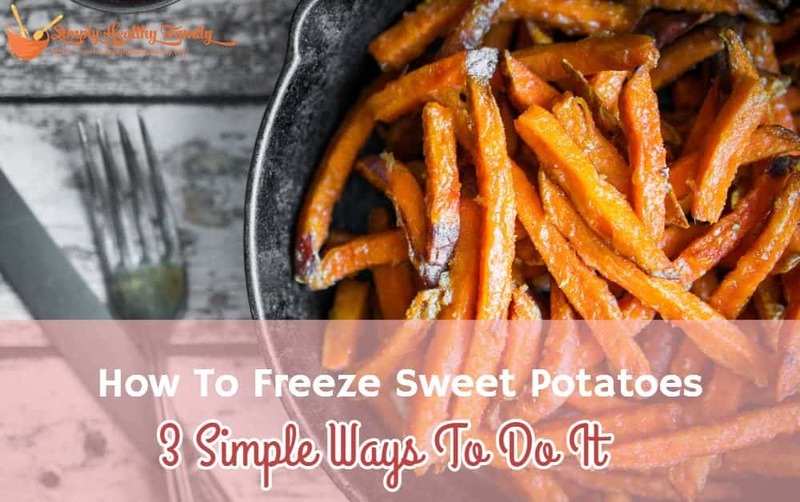 If you don’t want to trouble yourself with too much work beforehand and just want to put your sweet potatoes in the freezer as soon as possible, this is probably the best method for you. It will allow you to store your potatoes and use them at a later time however you may wish. You don’t have to commit to roasting, baking or mashing them up beforehand. – First up, take your sweet potatoes and carefully peel them until you get rid of all the skin. – Next, cut them up into tiny pieces, preferably 1 inch or less in thickness. – After that, blanch them. This means putting them in scalding hot water for a brief time, then submerging them in icy water for two or three minutes. This will prevent them from becoming stringy or mushy when you thaw them. – Then, put them in a freezer bag and make sure you squeeze all the air out of it. – You can now put them in the freezer and safely keep them in there for up to six months. As you can see, this is a relatively fast method of storing sweet potatoes that will still allow you to use them however you like after unfreezing them. This is one of the most common methods of freezing sweet potatoes and requires a bit more work, but it pays off. When you store them this way, sweet potatoes can remain in the freezer for an extremely long time without going bad. – To start, get a large pot, fill it with water and wait until it boils. – Then, scrub the potatoes before putting them into the boiling water. – You should boil them for somewhere between 10 and 15 minutes, depending on the temperature. – When they start becoming tender, take them out and let them stand at room temperature until they cool off. – If you can pick them up safely, peel them and slice them into manageable pieces. – Put the slices into a freezer bag and remove all the air from it that you can. – When stored in the freezer this way, they can stay frozen for up to 12 months. With this method, you can effectively store sweet potatoes from season to season and always have them on hand. You can buy a large bunch and store them without worries. Here we have a method that’s a bit more time-consuming than storing slice boiled potatoes and requires a few extra steps. However, it doesn’t limit the use of the potatoes as much as the boil-and-slice method does, while also being safer than both of the other methods outlined here. If you have the time to do this, it’s probably one of the best methods for freezing sweet potatoes. – Heat your oven to around 400 degrees. – Clean the potatoes, make a few holes in them with a fork or knife, then place them in a pan and put them in the oven. – Bake them until they become tender, which is around 1 hour, then take them out and let them cool. – When they are cool enough to touch, you can wrap them in foil. Make sure to wrap them only once, but also make sure that no area of the potato skin is exposed. – Put them into a freezer bag and squeeze out as much air as possible. – Now you can put them in the freezer, and they can stay frozen for up to 12 months with little chance of them going bad. How to Thaw Frozen Sweet Potatoes? Now that you know how to freeze sweet potatoes, there’s only one important thing left – thawing them. If you don’t thaw them properly, they will be useless. However, it’s not that hard, and you only need to follow a few guidelines. No matter how you stored them, remove them from the freezer and place them in the fridge for several hours until they are completely thawed. You can also use the defrosting option on your microwave, but that might leave them too dry. Another option, if you don’t have freezer space, is leaving them overnight in cold water. Any other method won’t do, because it might lead to the growth of bacteria and mold, and you certainly don’t want that. So, there you go, those are the best methods for freezing sweet potatoes we could find. However, if you have a preferred method of your own that you would like to share, please write it in the comments as we would like to hear it too. We are always open to new ideas. So far, these are the best solutions we found, and we hope this article was helpful to you.